Is exactly what newly graduated Michelle Wadskjær from the Margrethe School can offer. Her sense for modern design paired with good skills is what truly completes her garments, latest in her graduation collection Skeleton Pleats, where she combines a special pleat technique to redefine the body and bring focus to what lies beneath the clothes, but in a very dressed, non-vulgar though incredibly sensual way. These are points that in my opinion makes her very worthy of the Benedikte (the Danish Queen's sister) award and hopefully we will see a lot more to this amazing talent. 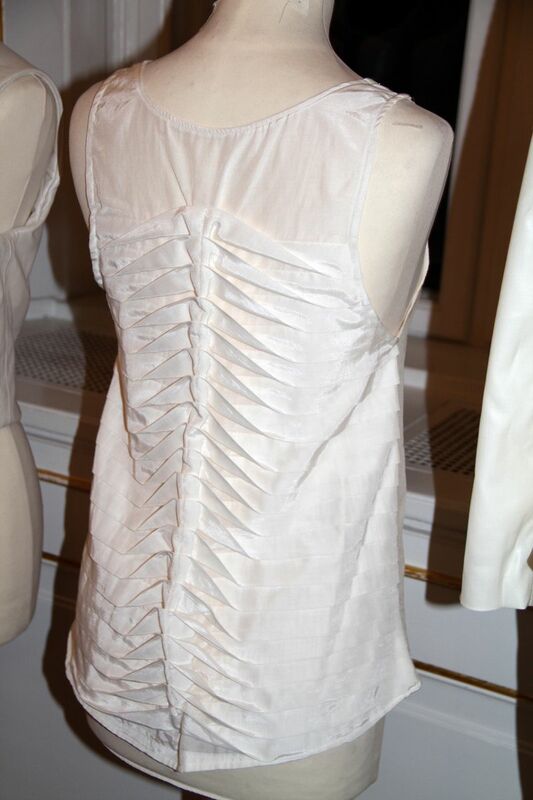 With the special pleat technique, Michelle achieved to bring focus to the human bone structure, for instance this dress has the detail on the back giving focus to the spine. 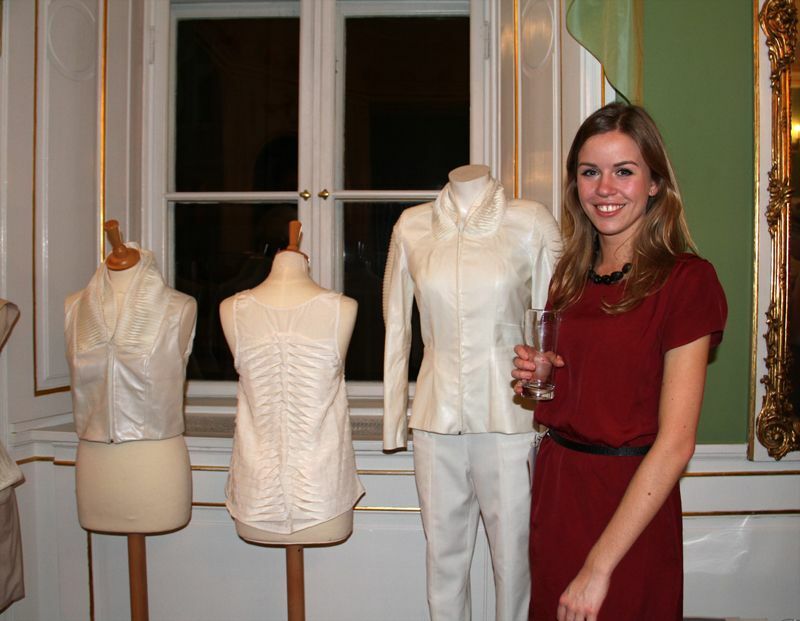 Michelle Wadskjær together with her creations at Laugenes annual show. pretty things on display :). Thanks for sharing! RIGTIG FED BLOG! Håber du vil kig forbi min og evt. blive fast læser! Uha, dejligt outfit den første! :-) Fantastisk blog. I stumbled across your blog. I like the pictures you posted. We love this outfit!.. Wonderful!..